It is no doubt that Bali has a variety of area attractions including beaches, mountains, fields and even the village and residents with its unique culture and distinctive, historical places with a thick mystique and of course the natural beauty that is very charming. Foreign tourists often call Bali as The Land Of God. For travel guides, you can see at bali world map. Sanur beach can be enjoyed in the beach sand black and white. Sanur beach can be done in watersport activities for water sports enthusiasts. Sanur beach is also well known as a place where we can enjoy the view of the sunrise on the island of Bali Sanur beach is relatively quiet so it is often referred to as the travelers who are aged 50 years and over. For those of you who are looking for tranquility, natural beauty and culture while faintly hear his traditional music of Bali, it’s here. Ubud is known as the arts, because it is a place to learn sculpting wood or stone, dance and painting. At this location there are many art galleries where visitors can come to practice such as playing instruments and dancing Balinese Bali. Ubud is also famous for its beautiful natural scenery with fields stratified or known as Subak. Some of the attractions that exist in the area of Ubud, among others; Goa Gajah, Gunung Kawi, Kehen Temple, Tirta Empul Baths. Nusa Dua tourist attraction is an excellent area for tourists, with its white sand beaches, 5 star hotels lined up along this coast. Nusa Dua beach is a continuation of Sanur beach, watersport attractions also can be done here. 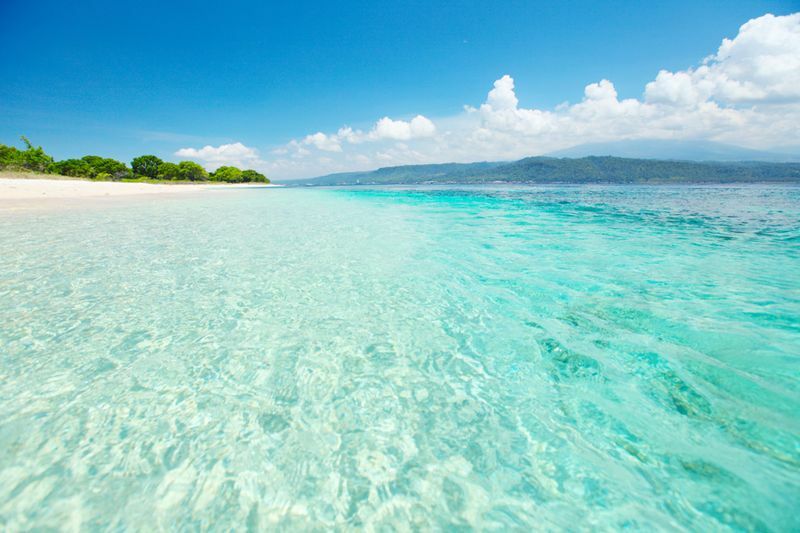 Nusa Dua is a beach that is equipped with a complete yag travel. Five-star hotels is widely available here, also play water sports such as fly fish, banana boat, sea walker is also available here. For those of you looking for a holiday with full facilities and are not concerned about the cost, this is where you stay right. Pura Tanah Lot is the most famous temples in Bali and seems to have become an icon of the island of Bali. The uniqueness of this temple is located the middle of the ocean, so that when the sea was high tide you will not get close, but when the low tide you can cross and saw one of the uniqueness that this temple is guarded by two snakes black and white that every day looks accompanied by his keeper. Next Post:What Is A Home Based Travel Agent?